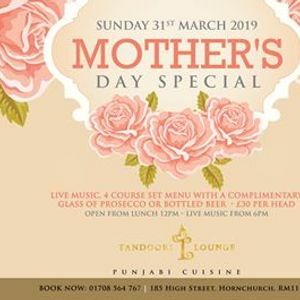 Join us on 31st March to celebrate Mother's Day. We will be having a 4 course £30 set menu with a complimentary glass of prosecco or bottled beer for all guests. Live Bollywood music will be available from 6pm.